P&G released a bunch of new coupons earlier today on Smartsource! 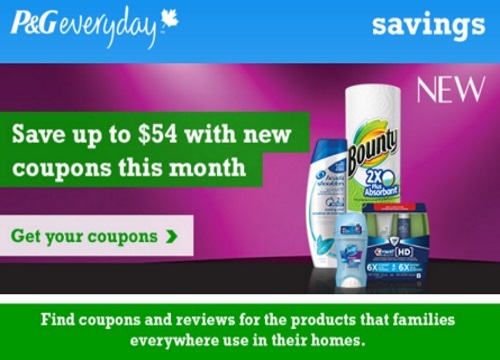 Save up to $54 with new coupons this month on products that families everywhere use in their homes! Limit 2 prints per person, per computer. While quantities last. Click here to sign up for P&G alerts about upcoming Coupons & Free Sample offers.